The blue façade color is a blend of Cabot’s ‘Spruce Blue’ and ‘Alagash’. 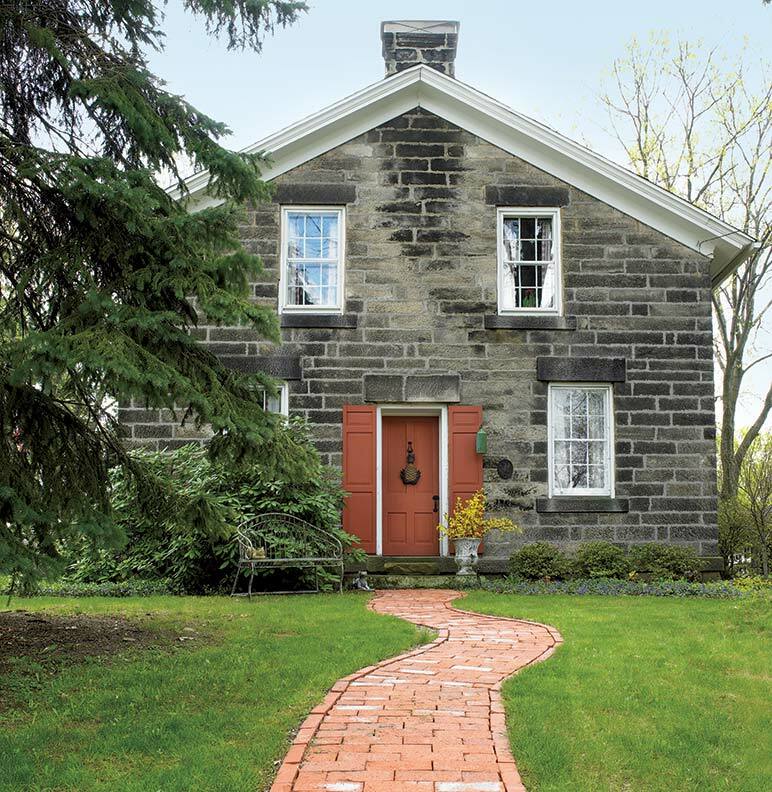 We were drawn to this property because the impoverished house was begging to be restored. After moving the house 300 feet back from the road, we spent countless hours (years) bringing back its authenticity. 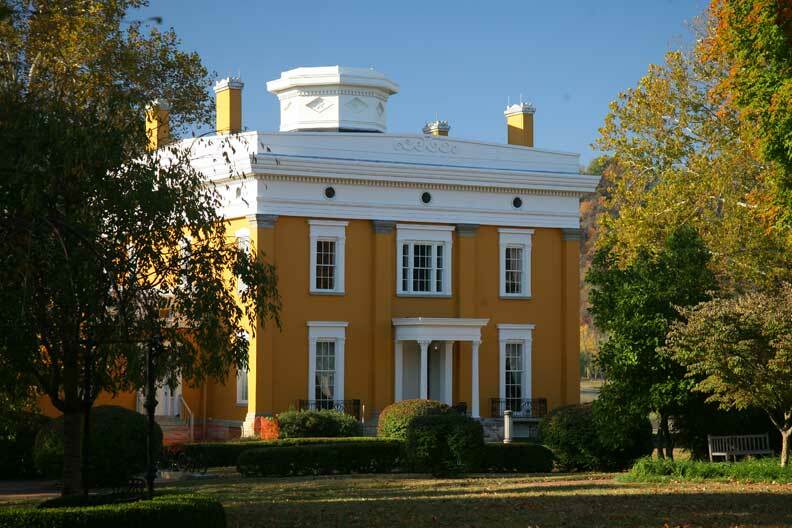 Built around 1835 by the local gristmiller, it reflects the era’s prosperity. 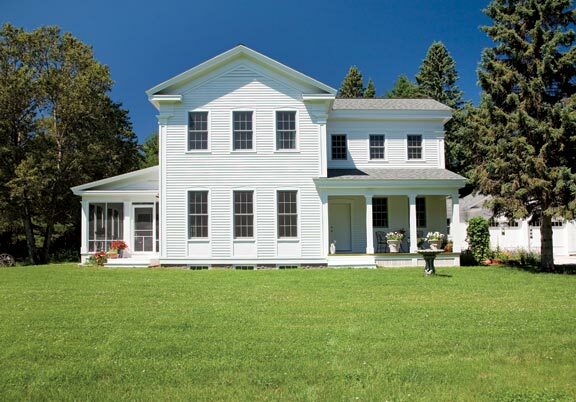 The country Greek Revival main house is one and a half storeys, with horizontal frieze windows that are typical in the mid-Atlantic and Northeast. We gently ushered the 2,500-square-foot house into modern times with all new systems. 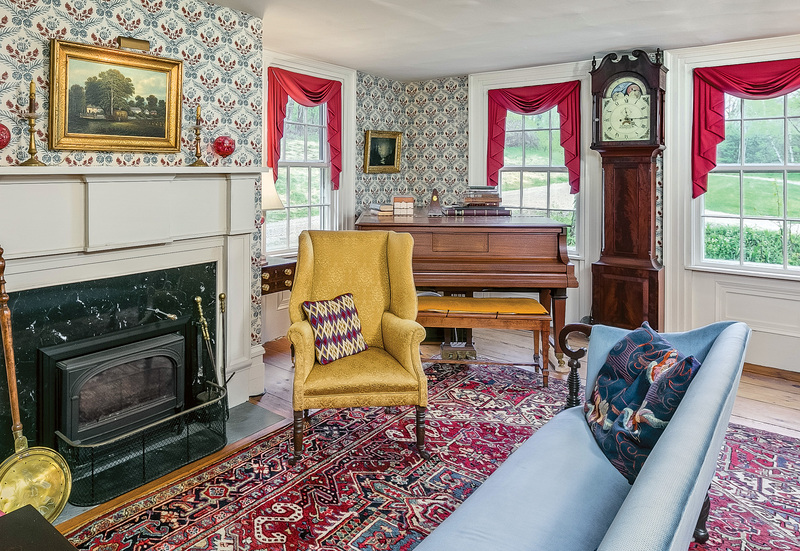 But we restored its original woodwork, plaster walls, wide-board floors, hardware, fireplace mantels, windows, and both the formal stair and the boxed, Jersey winder stairs. The center-hall floor plan has double parlors, a formal dining room, and a family room. We added a custom cherry kitchen. Pastoral views are just beyond the open and screened porches. The double parlor includes a library behind pocket doors. The house is the center of a residential compound. We purchased and moved two outbuildings, both ca. 1870: a summer kitchen, restored for use as an office or a workshop; and a three-bay-plus-lean-to carriage house, with its original German drop siding, used as a garage and for storage. In 1986, we built a new pole barn. In an article in our local paper, the property was described as “a harmonious balance of the old and new enveloped in a most graceful countenance.” We love that! Now we’re earnestly trying to pass on the stewardship of our beloved property. History: The rural property is on the site of a former gristmill, later orchards and a dairy farm. 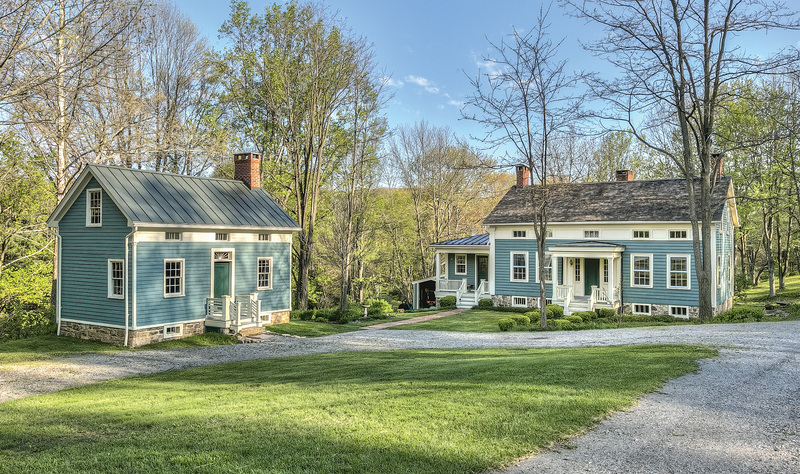 Property: The house sits on 6.39 acres overlooking the Rockaway Creek. 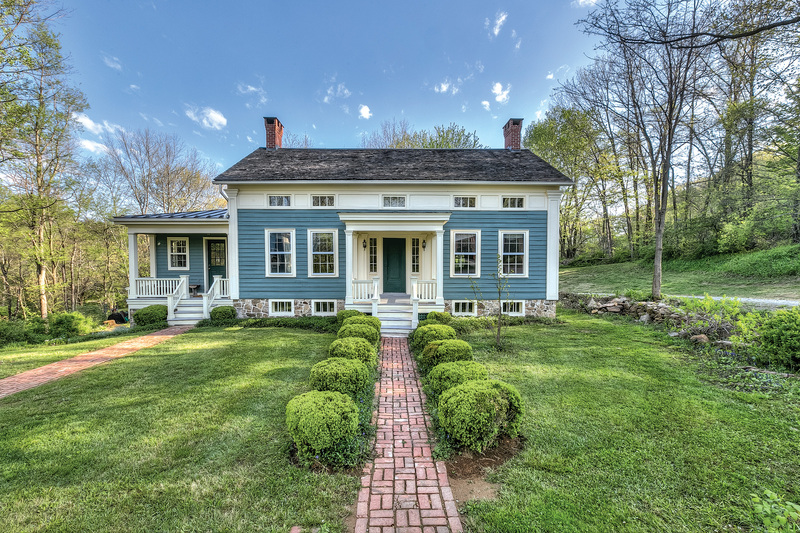 Vintage outbuildings were acquired and reassembled here: summer kitchen and carriage house, both ca. 1870; a barn dates to 1986. Furnishings: Early 19th-century Sheraton antique furniture enhances the period decoration.